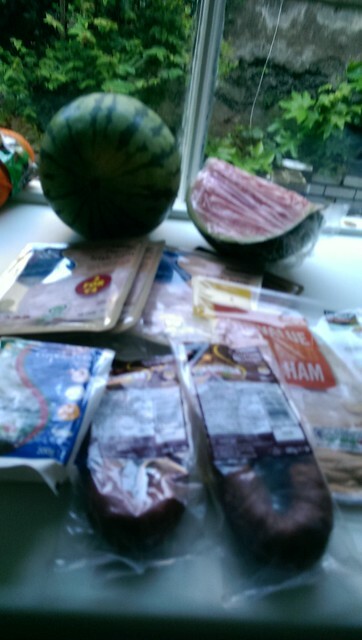 Can you think of anything that involves feta, watermelon, ham and chorizo? Something went very wrong with our shopping order. On the plus side, I gave away a watermelon to my bookclub hostess this evening. She seemed somewhat surprised.